Mario Rosales Jr., a 10th-grade student at Batavia High School, was selected as the Staff Honor Cadet at the 2017 Buffalo training. Mario was selected by the Navy Sea Cadet Corps commanding officers for the honor. Cadets from several divisions across various states attended the training. Mario served as the company commander for the Alpha company and is also a petty officer in the Sullivan's Division. Mario is a member of the varsity cross-country and track teams at Batavia High School and works part-time at Ed Arnold Scrap Processors during the summer. He is the son of Mario and Gretchen Rosales, of Batavia. He is the grandson of Al and Sue Rosemark, from Elba, Vicki Brownell, of Albion, and Antonio and Virginia Rosales, of Mexico. posted by Billie Owens in Milestones, darien center, Gary A. Graber. Gary A. Graber, town justice in Darien and Darien Center, attended the National District Attorneys Association's Commerical Driver License/Commerical Motor Vehicle Conference in Cincinatti, Ohio, this summer. He spoke, from a judicial perspective, on Commerical Vehicle Law. "On behalf of the National Traffic Law Center and all the participants in our class, let me extend out deepest gratitude for your valued contribution to traff safety at NDAA's CDL/CMV Conference in Cincinnati, Ohio, was June 15-16, 2017. "Your judicial perspective on Commercial Motor Vehicle Law was extremely informative and very well received. Many participants commented on how helpful your discussions were, especially as it relates to the topic of Masking. "We recognize the substantial time and energy you put into your teaching segments and arranging your visit. "Thank you again for your contribution and your consistent partnership with the National Traffic Law Center." 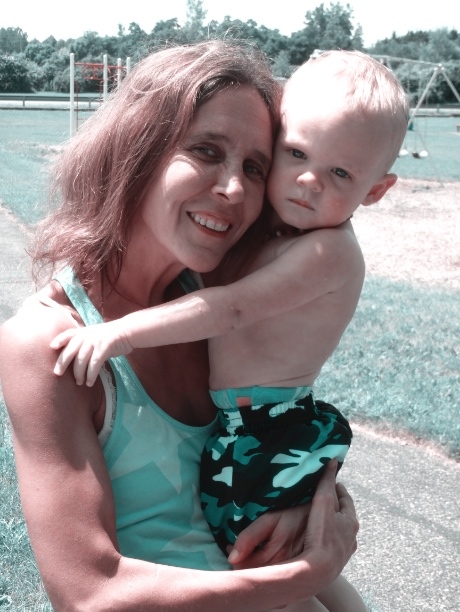 posted by Billie Owens in Le Roy, elba, Announcements, Milestones, bergen, Stafford, Pavilion. The families of the late Baptist and Christina (Costa) Stefani, and Dominic and Johanna (Rigoni) Costa gathered for their 37th consecutive annual family reunion at Le Roy’s Wildwood Park on Sunday, July 30, 2017. Wildwood Park is located on Munson Street Extension near the Le Roy Community Swimming Pool. Both founding families made their homes in Lime Rock (New York). Linda (Orlando) Totten, of Elba, Carol (Orlando) Panepento, of Pavilion, Gloria (Orlando) Oliver, of Le Roy, and Amy Panepento, of Le Roy, hosted the event. 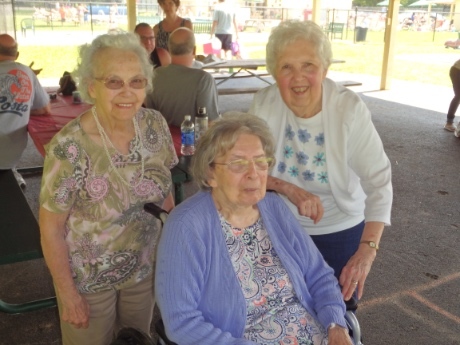 Dorothy (Stefani) Bater, of Le Roy, was the oldest person in attendance at age 90, followed closely by Dolores (Stefani) Lathan of Le Roy, who is one day younger. The youngest family member to attend was 14-month-old Ryder Christopher Barclay, of Byron. He is the son of Samantha Blake and Joe Barclay. Ryder’s proud parents are expecting another addition to their family in April. The only new member of the family is Abby Grace Aradine, born on on Oct. 17, 2016. She is the daughter of Jeffrey and Bethany (Pocock) Aradine, of Bergen. Her older sister, Kate, was last year’s youngest reunion participant. Michelle Goldstin and Tim Sisson, of Piffard, have recently become engaged to be married. Rena C. Wagner, 90, of Batavia, passed away on Thursday, July 6, 2017. She was born Dec. 17, 1926 in Asiago, Italy, and was a daughter of the late Peter and Battastina Dalle Ave Costa. She is survived by her brother, Victor (Jean) Costa, of Le Roy, and her sister, Mary Regone, of Virginia. Next year’s event chairs are Marilyn (Costa) Pocock, of Bergen, Darlyn (Costa) Hawkins, of Le Roy, and Richard Costa, of Stafford. posted by Billie Owens in alexander, Alexander Fire Department, news, Milestones. 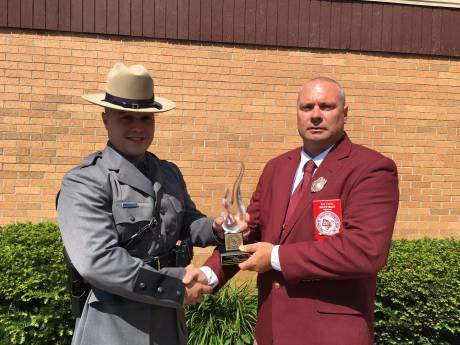 Matthew J. Pietrzykowski, left, in his NYSP uniform, and Bruce Mack, president of WNYVFA. The Alexander Fire Department is proud to announce that one of its own, Matthew J. Pietrzykowski, was named the Western New York Volunteer Firemen's Association "Firefighter of the Year Award for Heroism" at the 118th annual convention, hosted by the St. Johnsburg and Frontier fire departments in Niagara County. The convention was held July 27th - 29th. Matt received his award at 10 a.m., Saturday, July 29th at the Annual Awards Ceremony which took place at St. John's Lutheran Church. In the early morning hours of April 30, 2016, the Alexander Fire Department was called to assist Town of Batavia Fire Department as a FAST team while they worked a house fire. A quick response team from Alexander prompted command to upgrade Alexander to interior attack. While looking for extension on the second floor of the structure, the ceiling collapsed on a firefighter, disorienting him and making him unable to get out of the strucutre by himself. Matt was in the same area when the ceiling collapsed. Realizing a firefighter was in need, he radioed a "may day" and went to the down firefighter and assisted him into the bucket of the ladder truck and out of the building. On the night of May 20, 2016, the Alexander Fire Department FAST team was called to assisted the Town of Batavia Fire Department with a working house fire, unknown if occupied. Alexander was again moved up to interior attack. Matt and his partner began a search for victims on the first floor while other crews battled the fire. Matt was able to recover two young victims who unofrtunately had already perished. These two scenarios only begin to shine some light on who Firefighter Matthew Pietrzykowski is, with his steadfast commitment to the Alexander Fire Department. In other coorespondence, Alexander fire officials said "Thank you for your service Matt!" Matt was accompanied to the awards ceremony at the convention by his parents, Patrick and Barbara Pietrzykowski, of Bethany, along with his fiancee Rachel Marchewka and their 4-month-old son, Logan, and many members of the Alexander Fire Department. Matt graduated this spring from the NYSP academy and is assigned to Troop B in Essex County. The NYSP assisted the Alexander Fire Department in arranging for Matt to be at the Awards Ceremony to receive this honor. 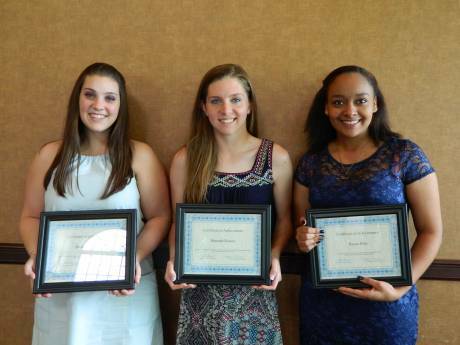 posted by Billie Owens in Milestones, batavia, ellen della penna, scholarships. 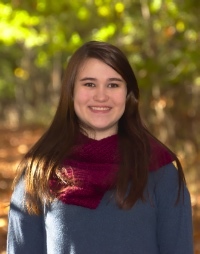 ALBANY, NY -- The New York State School Facilities Association announced that Allison Della Penna, a junior at Utica College, is a recipient of the Fred Hack Memorial Scholarship. 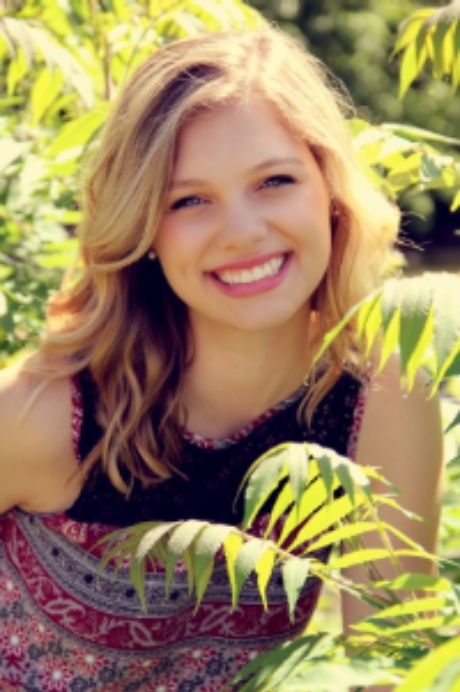 Della Penna, a graduate of Batavia High School, is studying Child Psychology. She is a member of the Division 3 NCAA Women's Volleyball Team; acts as a resident assistant; and is an honors program member, scholar athlete and recipient of the College's President's Award. She has been on the dean's list four times. Allison is the daughter of Matthew and Ellen Della Penna, of Batavia. Her father is director of safety, security and operations for the Genesee Valley Educational Partnership. The Fred Hack Memorial Scholarships were established in the mid-1990s in honor of the association's first executive director. six scholarships are awarded each year to children of NYSSFA active and affiliate members who are enrolled, or planning to enroll, in a full-time program of study at an accredited post-secondary school. The New York State School Facilities Association is a professional organization of more than 600 school facilities directors, facilities managers, head custodians, health and safety coodinators, and other key school facilities personnel. It's headquartered in Albany. posted by Billie Owens in Le Roy, Milestones, news. Kathleen Dessert, a senior at Le Roy High School, has received The Sage Colleges' distinguished designation as a "Student Sage Scholar." Award recipients are nominated by their high school guidance counselors, teachers or administrators. Each exemplifies the colleges' motto "To Be, To Know, To Do." Award winners are guaranteed a minimum of $40,000 in scholarship during the four years of study at Russell Sage College or The Sage College of Albany in recognition of their academic achievements and community involvement. posted by Billie Owens in Milestones, news, GCASA Foundation, scholarship, Notre Dame, batavia. From left: Shelby Restivo, Hannah Bowen and Keara Pitts. Each year, GCASA Foundation awards two $1,000 scholarships; one to a Genesee County student and one to an Orleans County student. GCASA Foundation Scholarship was established to support the work of GCASA. The foundation board is committed to the scholarship program, created to help students who will study human services, counseling, or health services. This year, the selection committee decided to add a Director’s Choice scholarship award in the amount of $500 due to the exceptional applications received. The committee selected Hannah Bowen, a senior at Notre Dame High School, as the award recipient for a Genesee County student and Shelby Restivo, a senior at Albion Central School, as the Orleans County recipient. Hannah plans to study Psychology at Clarkson University. Shelby plans to study Psychology at Monroe Community College, with the goal of furthering her education to become a counselor. 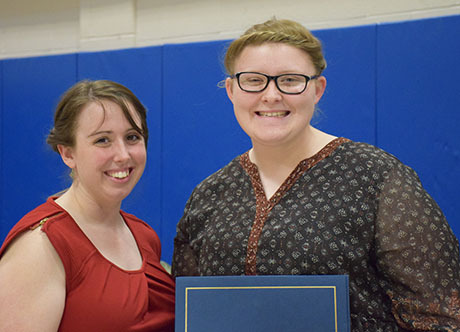 The Director’s Choice scholarship was awarded to Medina Central School senior Keara Pitts. Keara plans to study Human Services at Genesee Community College and then further her education to pursue a degree in School Psychology. posted by Billie Owens in news, Milestones, pembroke. Kerri Richardson, Agri-Business Academy Instructor, left, congratulates Melissa Keller, right, Agri-Business Academy student, at a recent Board of Education ceremony. Thirteen Batavia Career and Technical Education (CTE) Center students represented the Western Region at the New York State FFA Convention in Leadership Development Events in May at the State University of New York at Morrisville. Melissa Keller (Pembroke) placed second in the Employment Skills event and will represent New York State at the Big E Fair next fall in Massachusetts. This event is the Eastern States Exposition Fair where students from throughout the Northeastern United States come to compete. Kerri Richardson is the Agri-Business Academy instructor and FFA co-advisor. She explained how well Melissa fared in this event. “This is one of the most competitive competitions at the convention. Melissa had to prepare a resume, cover letter and job application along with a phone and in-person interview,” Richardson said. Melissa earned a $1,500 national FFA scholarship called the America’s Farms Grow Ag Leaders/Monsanto Fund. The team of Melissa Keller, Cole Hudson (Notre Dame) and Cherie Glosser (Warsaw), placed third in the Marketing Plan event. Four students, Rebecca Semmel (Warsaw), Stella Glosser (Warsaw), Sarah Lippert (Attica), and Elizabeth Jurs (Elba), competed as the Food Science team and placed ninth out of 27 teams. Allison Pajda (Attica) placed sixth in the People in Agriculture event. The Batavia CTE Center FFA program focuses on leadership, personal growth and career success. The co-advisors are Richardson and Holly Partridge, Animal Science instructor. If you know of a current junior or underclassman who is interested in business or agriculture, or is unsure of a career path, applications are now being accepted for the Agri-Business Academy at the Genesee Valley Educational Partnership. The Agri-Business Academy is a one-year partnership program between the Partnership and Genesee Community College. This college prep program is geared toward highly motivated high school seniors interested in investigating careers in the agribusiness field. Through the Agri-Business Academy, students explore the many career opportunities available to them — locally, internationally or often it is a dynamic blend of both. Students can also earn 15 college credits through the ACE program at Genesee Community College. Applications are available at http://www.genesee.edu/home/ace/career-pathways/agri-business-academy/. Any questions can be directed to Richardson at (585) 344-7783 or [email protected]. posted by Billie Owens in Milestones, Oakfield, Alabama, byron, bergen, pembroke, batavia, Le Roy, elba, alexander, Pavilion. Last month, the National Technical Honor Society (NTHS) Chapters inducted 58 career and technical education students from Batavia Career and Technical Education Center. Evening candlelight ceremonies took place at Elba High School. These students met a rigorous criteria set forth by this national organization. The minimum grade-point average for acceptance is a 3.0. Students are also selected based upon credit hours completed, attendance, volunteer service, and membership in other student organizations. The inductees are noted below. The Batavia Career and Technical Education Center is a program of the Genesee Valley Educational Partnership. The Partnership operates as a Board of Cooperative Educational Services offering shared programs and services to 22 component school districts located in Genesee, Wyoming, Livingston, and Steuben counties in New York state. Cindy Skalny, of Batavia, was named to the Emerson College dean's list for the Fall 2016 semester. Skalny is majoring in Media Studies. The requirement to make Emerson's dean's lst is a grade-point average of 3.7 or higher. Based in Boston, Massachusetts, opposite the historic Boston Common and in the heart of the city's Theatre District, Emerson College educates individuals who will solve problems and change the world through engaged leadership in communication and the arts, a mission informed by liberal learning. The College has approximately 3,500 undergraduates and 670 graduate students from across the United States and 50 countries. Supported by state-of-the-art facilities and a renowned faculty, students participate in more than 90 student organizations and performance groups. Emerson is known for its experiential learning programs at Emerson Los Angeles, located in Hollywood, and at its 14th-century castle in the Netherlands. Additionally, there are opportunities to study in Washington, D.C., London, China, the Czech Republic, Spain, Austria, Greece, France, Ireland, Mexico, Cuba, England, and South Africa. The College has an active network of 37,000 alumni who hold leadership positions in communication and the arts. For more information, visit emerson.edu. Jordyn Vanelli, of Batavia, was recently initiated into The Honor Society of Phi Kappa Phi, the nation's oldest and most selective all-discipline collegiate honor society. Vanelli was initiated at Ithaca College. Vanelli is among approximately 30,000 students, faculty, professional staff and alumni to be initiated into Phi Kappa Phi each year. Membership is by invitation only and requires nomination and approval by a chapter. Only the top 10 percent of seniors and 7.5 percent of juniors are eligible for membership. Graduate students in the top 10 percent of the number of candidates for graduate degrees may also qualify, as do faculty, professional staff and alumni who have achieved scholarly distinction. Since its founding, 1.5 million members have been initiated into Phi Kappa Phi. Some of the organization's notable members include former President Jimmy Carter, NASA astronaut Wendy Lawrence, novelist David Baldacci and YouTube co-founder Chad Hurley. The Society has awarded approximately $15 million since the inception of its awards program in 1932. Today, $1.4 million is awarded each biennium to qualifying students and members through graduate fellowships, undergraduate study abroad grants, member and chapter awards, and grants for local, national and international literacy initiatives. For more information, visit www.phikappaphi.org. posted by Billie Owens in corfu, Milestones, Announcements. When Rochester Institute of Technology's collegiate cyber defense team gets hacked, they call it practice. Four days a week, the students can be found in the lab learning about the technical aspects of different computer systems and strategizing how to defend against attackers. April 13-15, the team, including Kyle Carretto, of Corfu, put its skills to the test against the country's top cybersecurity colleges in the 2017 National Collegiate Cyber Defense Competition, held in San Antonio, Texas. The annual championship is part of the nation's largest college-level cyber defense competition, an extracurricular event that helps to train the next generation of cybersecurity experts. For the competition, students must defend a mock company's network infrastructure from a team of industry professionals who are assigned to break in and exploit the company's information. To prepare for the event, students spend months getting a baseline of every possible computer system that could be used in the competition, learning about the different networks and protocols. They also practice by simulating the attackers, who are known as the red team. They run scenarios to defend against possible attacks, including an attack on their network and the installation of malware-tools used by the red team to gain unauthorized access to the student's systems. Throughout the school year, the RIT team developed several plans of action for what to do during the competition. But these plans will often change during the first few hours of competition and the team has to react very quickly to a variety of unpredictable situations. In addition to fending off attackers, the students need to please the bosses of the mock company. The team must respond to business injects, which represent the typical activities of a system administrator, including running monitoring software and adding and removing services. For the cybersecurity students, CCDC is a fun space to test the skills they've learned both in and out of the classroom. It also serves as a place to meet employers. Raytheon, Walmart, IBM and the CIA are among the many industry sponsors for the event. In the past, RIT has been among the top contenders at the national competition in San Antonio, placing third in 2015, second in 2014 and winning the national title in 2013. RIT received an automatic berth to the 2017 nationals after winning the Northeast regional competition in March. Other regional winners competing for this year's national title include University of South Alabama, Brigham Young University, DePaul University, University of Washington, California State University Northridge, Montana Tech, University of Maryland Baltimore County, University of Tulsa and University of Alaska Fairbanks. Aracely Hernandez, of Elba, has received the SUNY Oneonta 2016-2017 Susan Sutton Smith Award for academic excellence. To be eligible for the award, a student must be a freshman, sophomore or junior with a grade-point average of 3.9 or higher. Hernandez, who is majoring in Spanish, received a certificate, a gift card to the campus bookstore, and an invitation to attend the annual Susan Sutton Smith Lecture and reception. Florian Reyda, Ph.D., professor of biology, delivered this year's Susan Smith Lecture titled, "Parasites, Evolution and Us," on April 11, in the Otsego Grille of the Morris Conference Center on campus. Created to recognize faculty achievement outside the classroom, the Susan Sutton Smith Faculty Prize for Academic Excellence is named in memory of the late SUNY Oneonta professor of English. Reyda is the 23rd recipient of this prize. This event and the student awards are made possible by the generous gifts of SUNY Oneonta Alumni to the 2016-2017 Fund for Oneonta. The Susan Sutton Smith Faculty Prize for Academic Excellence is made possible by an endowment created through the generosity of Dr. Thomas and Mrs. Mary Smith in memory of their daughter, Susan, and in honor of her commitment to academic excellence. The lecture is free and open to the public. A liberal arts institution with a strong focus on undergraduate research and service learning, SUNY Oneonta consistently gains recognition for delivering excellence and value. The college has been named to Kiplinger's list of "100 Best Values in Public Colleges" for 10 years running and sits at No. 12 on the 2017 U.S. News & World Report list of the best public institutions in the region. SUNY Oneonta enrolls 6,000 students in its 70 undergraduate majors and 14 graduate programs. posted by Billie Owens in Genes County, news, Milestones. Genesee County Assistant Manager Matthew Landers was honored last month by the New York State Association of Counties (NYSAC) for graduating from the NYSAC County Government Institute. The ceremony was held at the NYSAC Legislative Conference in Albany. The NYSAC County Government Institute is an educational program established in conjunction with Cornell University. The Institute provides an educational program for county elected and appointed officials, to enhance the knowledge, skills and abilities of county officials. For more information, visit www.nysac.org. 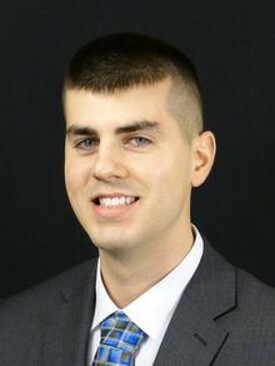 Landers graduated from SUNY Brockport and is currently working on a master’s in Public Administration. He has been with the county since April 2004, and has served in the roles of Deputy County Treasurer, Real Property Tax Services Director, and for the last two and a half years as Assistant County Manager. Matthew and his wife Melissa reside in Batavia with their children Kaitlyn (10) and Benjamin (6). William E. Cherry, NYSAC president and Schoharie County treasurer, agrees. The County Government Institute's comprehensive curriculum includes extensive course work on government ethics, building consensus in a political environment, principles of county budget and finance, and public sector labor/management relations. The courses are supplemented with electives, training sessions, and continuing education courses designed to support county leaders in serving their constituents. “The course offerings through the County Government Institute have helped me become a better public administrator by educating me on emerging issues and expanding my knowledge base on important topics,” Landers said of the program. posted by Billie Owens in business, Milestones, batavia. Trevor J. Day has accepted an accounting position with The Bonadio Group in Amherst. Trevor is a 2016 graduate of Geneseo State College and a son of Sharon and Jeffrey Day, of Batavia. posted by Billie Owens in Announcements, Milestones, batavia, batavia peace garden, news. 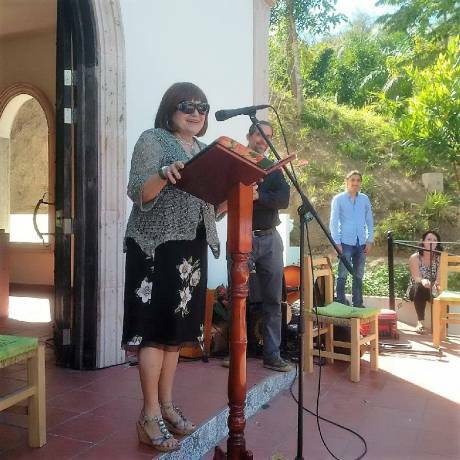 Batavia resident and International Peace Garden Foundation President Paula Savage, recently returned from Puerto Vallarta, Mexico, where she participated in the dedication of the 2017 International Peace Garden located at the Vallarta Botanical Garden. Mexico was nominated for the honor because of its substantial contributions to the UN in areas such as peaceful settlement of disputes, struggle against apartheid, promotion of disarmament and halting of climate change. Puerto Vallarta is known to be a leader in Mexico for respecting diversity of cultures and human rights. Savage said “It was a unanimous decision to select the Vallarta Botanical Garden to convey the message of world peace believing the Botanical Garden of Vallarta is a place of calm, comfort and healing of body, mind and spirit." Inclusion and unification was the message of the day. During the dedication ceremonies on Feb. 16th several representatives from the interfaith community addressed the audience with wide praise for the mission of the International Peace Garden Foundation. The International Peace Garden Foundation is a charitable organization established to advance global friendship through the creation of worldwide Peace Gardens. Since 1990 these Peace Gardens span five continents. Residents and visitors to our community have enjoyed the Batavia Peace Garden since it opened in 2011 to celebrate 200 years of friendship with Canada. The Batavia Peace Garden flies the flags of all the recipient countries and is registered as an Honorary International Peace Garden. There are nine Honorary International Peace Gardens in New York State along the Bicentennial Peace Garden Trail. More information about the Foundation can be obtained by visiting www.ipgf.org. Sean Donovan, of Bergen, was among more than 500 students who earned endowed scholarships at Baldwin Wallace University this fall. Donovan, a graduate of Byron-Bergen High School majoring in music composition and music education, earned the William F. Grady Scholarship. BW has a long history of endowed scholarship support from alumni, faculty, trustees and friends. More than 385 named scholarships provide over $3 million to help students attend, persist and graduate from BW. Endowed scholarships vary in their requirements with many specifying financial need, a course of study, involvement on campus or a commitment to excellence in a particular field. BW grants a wide range of scholarships to current students each year. Including endowed, merit and need-based scholarships, BW students received over $41 million in financial support from the University for the 2016-2017 academic year. Baldwin Wallace University, founded in 1845, was one of the first colleges to admit students without regard to race or gender. An independent, coeducational university of 4,000 students, BW offers coursework in the liberal arts tradition in 75 academic areas. Located in Berea, 12 miles from downtown Cleveland, BW offers students the cultural, educational and business advantages of a major metropolitan area. posted by Billie Owens in Milestones, Oakfield, byron, elba. On Oct. 1-2, Barry Flansburg, Albion Future Farmers of America Alumni president, joined others throughout the region to help determine how they could better support agricultural education and their local FFA chapters. Flansburg is an assessor for the communities of Oakfield/Byron/Elba. The National FFA Alumni Organization recently hosted a regional development conference in Rochester, which delivered professional, personal and alumni program development to local and state members. In addition, the conference was a time for alumni members to network and share local visions of innovation with other alumni chapters and state associations. "As alumni, it is our responsibility to serve as a source of relief for our agriculture educators as well as attract new volunteers and supporters to help our FFA programs," said National FFA Alumni Executive Director Josh Rusk. "Our hope is that the regional development conferences will give alumni the tools and support they need to be successful in that endeavor." This conference was one of six to be held this year. The other locations for the conferences include Oklahoma City, Okla., Burbank, Wash., Ankeny, Iowa, Oxford, Ohio, and Atlanta. The National FFA Organization provides leadership, personal growth and career success training through agricultural education to 629,367 student members who belong to one of 7,757 local FFA chapters throughout the United States, Puerto Rico and the Virgin Islands. posted by Billie Owens in Milestones, bergen, batavia. Nearly 700 first-time full-time freshmen began their studies at SUNY Canton for the fall 2016 semester. Shea Norton, a SUNY Canton Criminal Investigation major from Batavia. Norton is a 2016 graduate of Notre Dame High School. Savannah J. Wolfe, a SUNY Canton Funeral Services Administration major from Bergen. Wolfe is a 2016 graduate of Byron-Bergen Jr/Sr High School. SUNY Canton is Northern New York's premier college for career-driven bachelor's degrees, associate degrees and certificate programs. The college delivers quality hands-on programs in engineering technology, health, management and public service. Faculty members are noted for their professional real-world experience in addition to outstanding academic credentials. The college's 15 athletic teams compete as provisional members of the NCAA Division III and the USCAA. Lyle Grant, of Corfu, was among more than 400 first-year students welcomed to the Baldwin Wallace University campus this fall who claimed $5.2 million dollars in merit scholarships. Grant, a graduate of Alden Central School majoring in history, earned an $11,000 Dean's Scholarship based on outstanding academic achievements in high school. BW's merit scholarships are awarded to full-time students and are renewable up to four years with good academic and social standing. BW grants a wide range of scholarships to current students each year. Including merit and need-based scholarships, BW students received more than $41 million in financial support from the University for the 2016-2017 academic year.